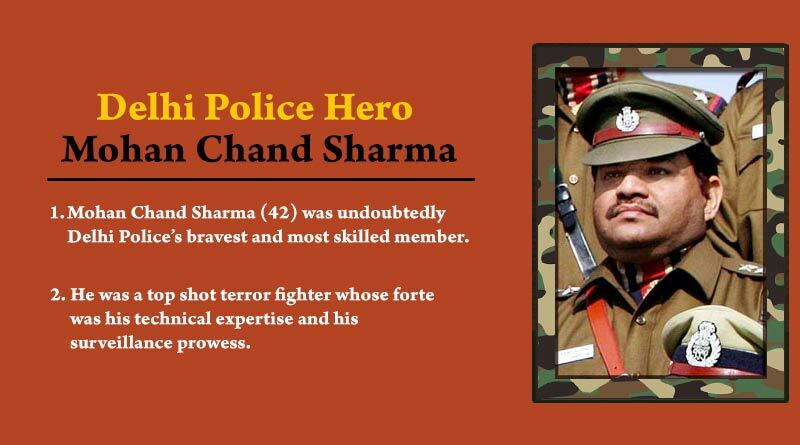 Mohan Chand Sharma (42) was undoubtedly Delhi Police’s bravest and most skilled member. He was a top shot terror fighter whose forte was his technical expertise and his surveillance prowess. His dedication to the nation was unparallel to none; such was his dedication to his job and keeping the country safe that he even left an ailing son, suffering with severe dengue alone to investigate the Batla House encounter. He laid down his life in service of the country after he died fighting militants. I lived with my husband for 15 years and have complete faith on his integrity. All kind of things about the encounter’s authenticity were said repeatedly.” said Sharma’s wife Maya after Shahzad the main accused in the Batla House encountered was convicted, proving the authenticity of Sharma’s operation. Resigned from the post of a clerk in the finance ministry to join the Delhi Police in 1986. Responsible for killing 35 terrorists and the arrest of 80 others. Lead and brought justice in many crucial and top cases which include the Parliament attack, Red Fort shootout and Diwali serial blasts. Lead the team which saw the death of one of the most wanted terrorists, Abu Hamza, at Jawaharlal Nehru Stadium in 2006 after the Diwali blasts. The Batla House encounter in which he lost his life was questioned by many as a fake encounter after the authorities kept the autopsy report of Inspector Mohan Chand Sharma who died in the encounter a closely guarded secret. Justice was however brought to him and his family after one of the main accused Shehzad was held guilty by the courts providing authenticity to the encounter.